Black/death barbarians Witch King premiere the new track „Apocalypse Tribe” at heavily trafficked web-portal SkullsNBones.com. 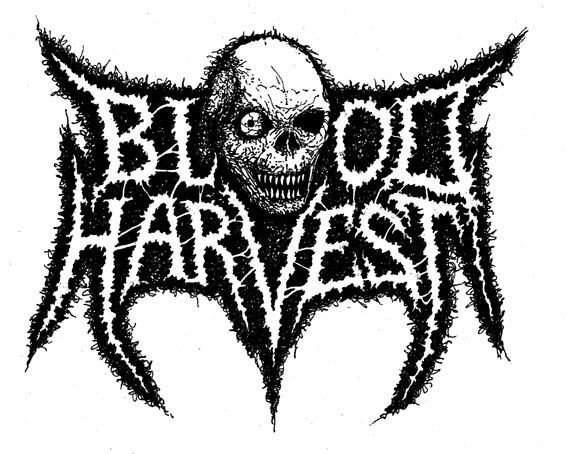 The track hails from the band’s highly anticipated debut album, Voice of the Ossuary, released on September 14th via Blood Harvest Records and Helter Skelter Productions. 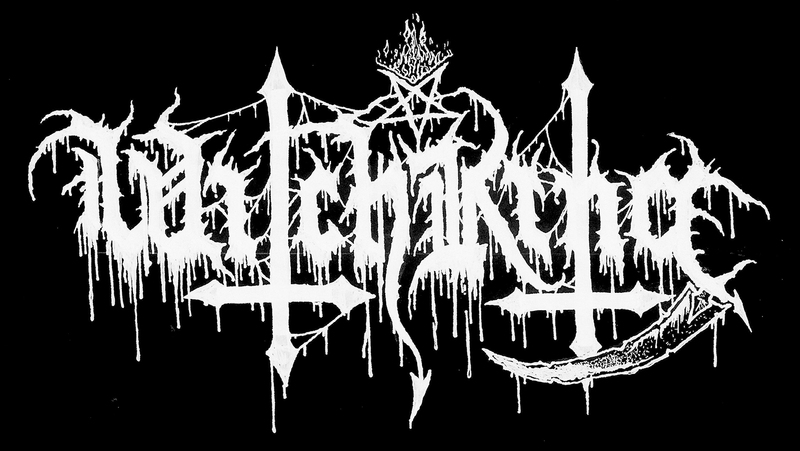 Hear Witch King‚s „Apocalypse Tribe” in its entirety exclusively HERE. Wasting no time whatsoever – no ceremony, no hope, no fun – Witch King blast into Voice of the Ossuary with primeval abandon. Theirs is an ancient sound, bucking nowadays trends, and returning to the foul recesses of classic blackgrind, informed by early Blood, Archgoat, Naked Whipper, and of course, the almighty Blasphemy. 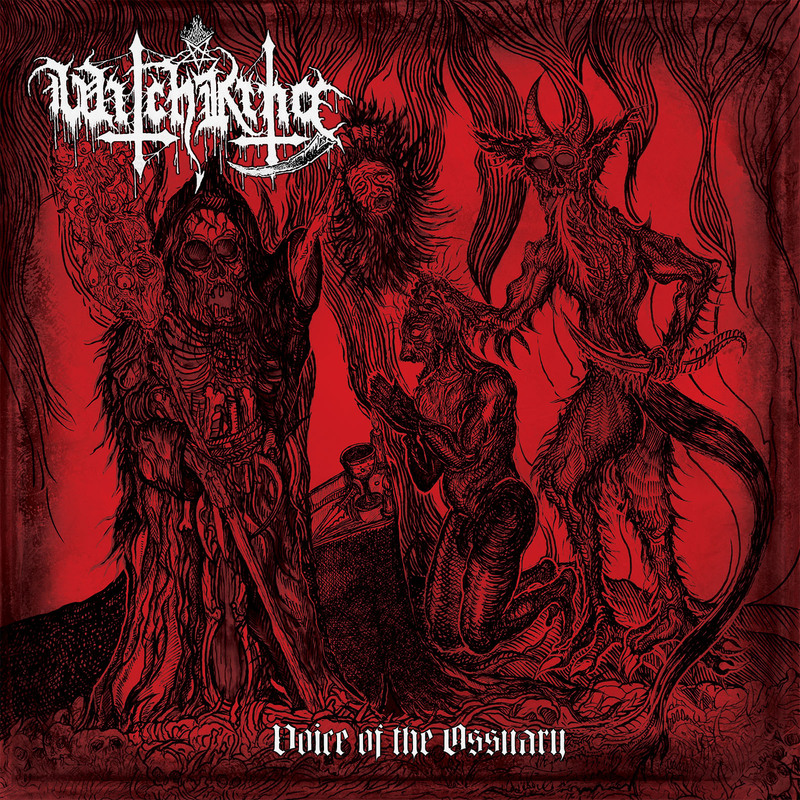 But whereas so much parallel „bestial metal” crams in non-sequitur riffs and transitions – or simply forgets them altogether, just plowing through one riff monochromatically – Witch King actually possess songwriting, and unfurl one flowing fountain of filth after another. These songs gnaw at your very being, but they remain in the subconscious long after play has commenced. And that’s not to mention the pure physicality of Voice of the Ossuary: all muscle, no fat, total 3D crush.